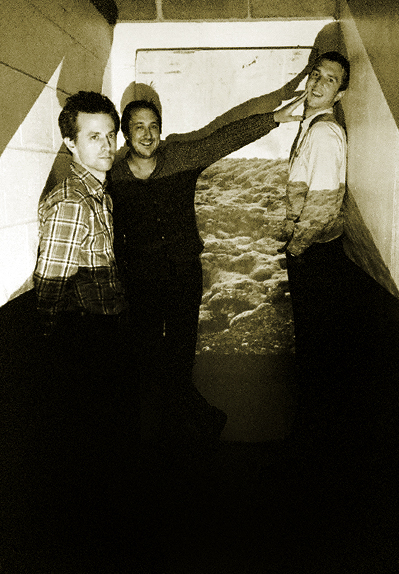 Bizarrely, if you bring The Walkmen’s return up in conversation, we tend to arrive at three same responses. One fellow will drop their jaw, bulge eye-popping stares and mutter nonsensical delight at their next live show. Another Walkmen sap will gaze to the ceiling and ponder that time in their life they flailed about to dancefloor hit ‘The Rat’. Yet the often, blurted out retort “They’re still going?” sums up the longevity of the brotherly five-piece. The Walkmen have pretty much done it all, from the covers album, being used in hit movie OSTs to playing with their music heroes, The Pogues. Whether using a succession of terrible rental vans, (Hamilton joins in with a grumble “I guess so man! That’s all that they have over here!”) Matt frowns about their continuous piano torment “We also have problems with pianos, ‘cause we always bring an actual operating piano. We had one that exploded on the street outside the club in Birmingham. No one was watching it and it fell over, and literally exploded.” Crikey. But yet again, the band wear these moments as medals of their touring history, “We laughed! Really hard, then left it on the street” boasts the front man “I was so happy to see that thing go. It was just a crappy one we bought on Craigslist”. After racking up almost twenty tracks recorded - some that didn’t make the final cut - Hamilton was content to conclude how those with crude working titles “actually made it on the record!” Uncovering a few in a quick fire round - “'Circle Jerker' is ‘Blue Is Your Blood’, ‘Eating Puppies’ is ‘Woe Is Me’”, the lead songwriter admits, “We always have stupid, little titles that we call them…we try to make it as stupid and offensive as possible.” Their “stupid and offensive” antics trail off into the band’s writing of a book John’s Journey, a novel, according to the blurb, about “something far more elusive, nothing”. Hamilton dug-up how it probably will never be finished, some is fiction about a man who “sounds like a shmuck” while parts are the mere rants of himself who “at some point or another”, typed a day of what he had done. Fancy a taste?